TOP of the World MA ( VBG) !! The peeyew smellermakers did not only NOT WIN the B10 Title outright , THEY DIDN'T EVEN GET A SHARE OF THE BIG TEN TITLE LMAO-LMAO-LMAO !! IN FACT the smellermakers ONLY GOT A NUMBER THREE SEED IN THE BIG TEN POST SEASON TOURNAMENT !! LMAO-LMAO-LMAO !! Soon we will see those turkies LOSE in THE B10 Tournament and then in the NCAA TOURNAMENT !! Then Sobbie Hummel can go home and cry in his root beer because those AMAZING FOUR ALLEGED ALL AMERICAN SENIORS for the smellermakers couldn't GET THE JOB DONE !!! Very happy for Buss. He came up in less than ideal circumstances and will graduate from college. That's a considerable achievement. If we are being honest, your environment and surroundings have much more to do with your makeup and achievements than many people want to admit. Of course there is a personal responsibility component but environment is a factor, and a big one. For most of us, we should be thankful that we grew up in the greatest country and with a positive environment. Well, we just clinched our fourth highest Big Ten finish over the past decade. Sixth isn’t too far off the top 5 finish we were all aiming for before the season started. Yes. It has been reported that Romeo and Phinisee talk all the time. What happened to Nebraska's Jack McVeigh? I don't know, but you mentioning their "bench mob" makes me wish we could play them again. I can't wait until Archie has his guys in here and we mop the floor with Nebraska every year. I changed the title of this topic from Purdue to Purdon't -- just because I can. LOL...pump the brakes. I doubt he'd have his fingers crossed if it were Kansas. Class move by Jordan Bohannon of Iowa last night. Had chance to break Chris Street's school record of consecutive made free throws. Missed on purpose. In a sport that is filled with all negative right now I thought it showed class and awareness. You know we aren't the ones getting him, right? Our coaches are giving him as much attention as they can. Ot. My son just pitched his first 2 innings of college baseball. Struck out 4 gave up 1 hit and no runs. It’s kind of weird that he had the combined loss total of IU, UK and Louisville tee’d up and ready to go. Hmmm.....those school names look awfully familiar. Wasn’t there just an article released about everyone on that list? Great read and thanks for sharing. Always marvel at the maturity some of these kids show. I know many adults (myself included) who were slow on maturity. Great example for himself and all of his other family members. Germans? Forget it he's rolling! What does Hummel have to do with it? You can't allow college athletes to make money off their likeness. Here's why... Let's say we allow players to take a percentage of their jersey sales. Pretend you are a multi-millionaire, you donate a lot of money to the program, school, season ticket holder, etc. If you really wanted Romeo, why wouldn't you just say "Hey, I'll buy 10k Romeo Langford jerseys." This is just a "legal" way of paying for recruits. Thanks Coach. So glad you found us back in January. I would like to remind our members of a few things. There a members who frequent HSN 3.0 that actually have an ear to the ground, when it comes to recruiting. Coach is one of them. And there are others. And even some who don't feel comfortable posting.... but are willing to share intel with members via private messaging. And .... those members who do share don't get paid for getting things wrong, unlike some other well known sites.But when they offer information, it is like time in a capsule. What they are offering is what they are hearing real time. Not knocking other sites. I think IU has one of the most diversified fan boards of any school in the nation. More power to them. They all have a right to their space. But.... when people such as Coach, and others.... come here to share information....our members have to understand, and appreciate they are getting this intel free of charge. And based upon the members own volition to share with us.... what they are hearing. Aside from ISU and IPFW, what was disappointing was going 0-7 against teams with a winning record in conference. Would have liked to get at least one or two of those games to make up for the bad road losses to Illinois and Wisconsin (which are almost always going to happen in the Big Ten). We were right there in a couple of them, which makes it even more frustrating. But by and large, not a bad showing overall, especially with getting very little out of Davis. 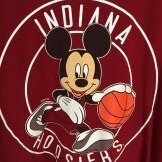 I believe I remember reading that once Damezi committed he contacted both Romeo and Robert to tell them to get this Indiana thing going. Thanks for the kind words. Again speaking for the entire mod team, your words are much appreciated. The atmosphere we have attempted to create has been fostered by the antagonistic rhetoric we have seen so prevalent on other boards. It has not come easy. But over time, many, like you have matriculated to HSN 3.0, because of the reasons you have stated. And speaking for myself, it has been a journey, with over ten years of experience, now as a moderator, I continue to learn, and attempt to do better on a daily basis. Our game plan is to continue to foster a fan friendly site. Where all members can feel comfortable to share their thoughts and emotions. And have fun doing it. Additionally, our game plan is to continue to have a free site, with no membership fees, just to participate. And we won't irritate our members with annoying pop-up adds, because we will not be soliciting for ads or hand outs. We do treasure you and all our great members. Making HSN 3.0 free is our way of showing how much we value our members. Just sad is all I can say. I am not trying to throw around any insults as anyone is free to question what Romeo is going to do. It is one of the things I love about this forum, free expression without being bullied or shamed. In today's society being able to comment without rhetoric or being shouted down is rare. I come here because we can have open honest discussion, which I see disappearing on a daily basis, which just makes me sad. Truly one of the reasons I like coming here is the atmosphere HSN has fostered. Trust me how rare it is! The one thing I think we have already learned is CAM's recruiting prowess and how good he has already proved to be. Facts, not assumptions. Artesian (HSN 3.0 member), posted a couple of days, Mr. Langford supposedly contacted an IU trustee that is a friend with, to attend the McDonalds game with them. Don't if it's true or not, but this would seem to be a strong omen. This plus will RL make another trip to B'ton as Mile has referenced. Its easy to quote the constitution but one needs to take a deeper look at what the founding fathers idea of seperation of church and State. Its ok to have prayer in congress in the Supreme court and oval office byt heaven forbid in our public schools. People beed to revisit their US History and Government to learn more about the men who founded this great country and gave us the right to argue about these ideals. Rob Johnson. Who pretty well shut him down last time. It was in the Hall though but Rob is a man on D. He has ate up a lot of guards this year. None of those teams play defense as good as IU does right now. Season numbers are great, but current numbers are better. Right now IU's defense is only behind MSU in the conference. And not to be that guy, but you played Michigan twice before you played us. You know, before Archie showed the world how easy it is to outcoach Matt Painter? So you're only true reputable is you shot 40% (which is below your average) against OSU. Big freakin deal. I am hoping for a Minnesota vs Rutgers matchup for the right to play us. Hookers must be approved for and paid in advance by the NCAA. This way no school offers a benefit that others do not. Fake classes should only be allowed for players averaging more than 10ppg. this would create some very interesting drama among teammates. Ouch bud. Harsh but fairly true. Hoping/thinking that changes in the next 2/3 years. If colleges wanted to really clean this crap up quick all they need to do is make players sit out their fresh man year. That would weed out just about every one and done. Stop waiting on the NBA to fix the problem. If you really want to have "student" athletes let's make them students 1st. Making more rules that never get enforced is just useless. Go Hoosiers!!! Good read. Good luck to him. Hope he finds a way to play professionally somewhere. I agree but this was last Oct/Nov I was referring to, a lot has happened since then. A lot more will likely happen before TJD commits anywhere. From what I've heard, I would expect more schools to get involved and his interest in some schools to change a lot between now and the time he commits. I think IU will be there in the end and I think landing Romeo would help a lot in this recruitment. I wasn't aware of a lot of that stuff. Thanks for posting HH. It will come. Especially if TJD holds out as long as Romeo. He will get his very own vigil. RL is the current shiny recruit. TJD will be next year's. One interesting aspect: Penn State has had Ohio States number and likely matches up with them in the quarters. Fully expect Michigan to bounce Nebraska. That was Uthoff’s last year I think. Woodbury poked a lot of eyes that year. I’ll gladly admit when I’m wrong. That’s impressive. Am I the only person who thinks we can give Purdue trouble? If Green can get it going in our first game and come in with momentum, I actually really like how we match up to Purdue. I think Green/Rojo can give Thompson as big of a challenge as he has had all year and the emergence of Smith recently could be a big difference maker. Show me an email response from Chuck Martin agreeing to go along and you have a story. Dawkins cold calling assistant coaches trying to broker a shady deal does not implicate IU. Trying to avoid this going political, but there's just no reason, in my opinion, to feel that anyone has a right to carry an assault rifle. It's a killing machine, not a hunting gun. The whole right to bear arms comes out of the need for an urban militia in the early redcoat days. We don't need urban militias now. We don't need to have easy access to assault rifles. There's nothing wrong -- in my opinion -- with feeling strongly that gun ownership rights should be protected, whether for hunting or self defense. But that doesn't require assault rifles, etc. At the end of the day, something has to change. How many school shooting, kid deaths, does it take?